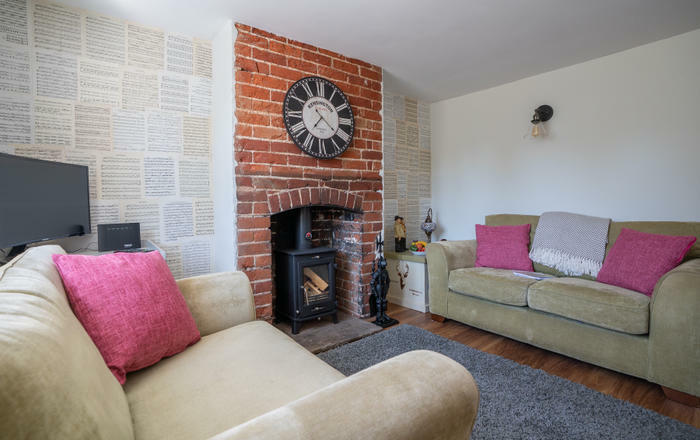 The Hayloft is a charming studio apartment, designed in a quirky, appealing and romantic style. Cleverly modernised to reflect an open plan living area perfectly suited to couples. 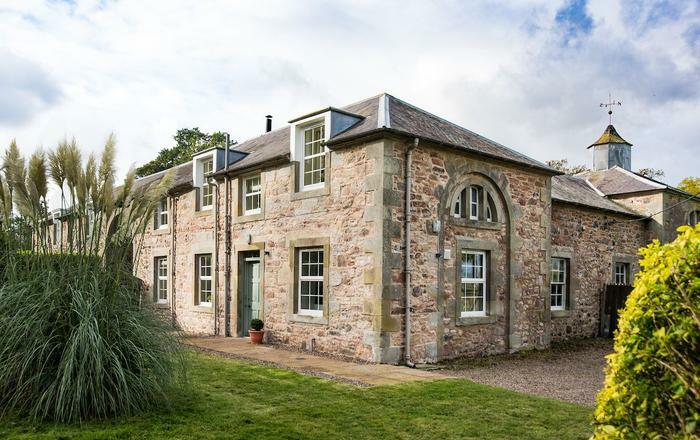 It's delightful character creates an enjoyable experience with views across the garden and far reaching countryside. 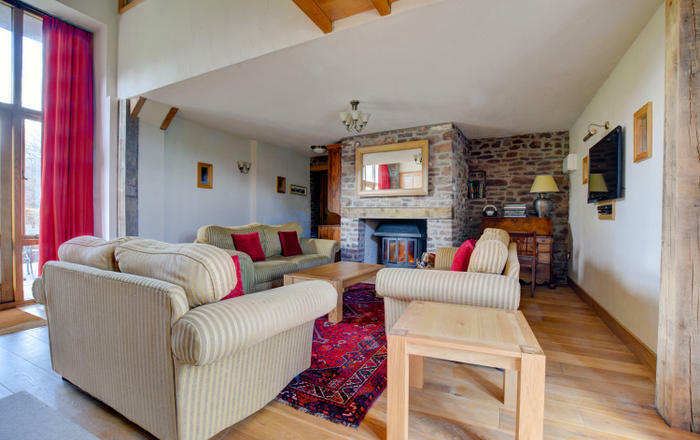 The provision of a cosy wood burner makes this a great choice for out-of-season breaks too. Outside there is plenty of seating on the patio and courtyard along with access to the garden and pond area, where you will find additional seating in a relaxing and peaceful setting. 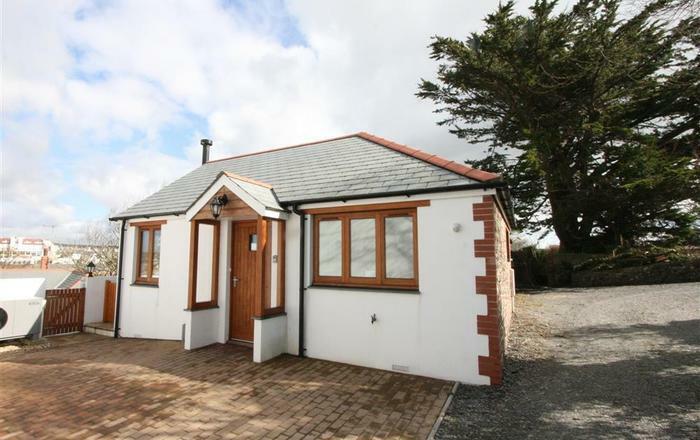 The property is perfectly located in a beautiful part of Devon, and situated near the quiet and picturesque village of Colyton. 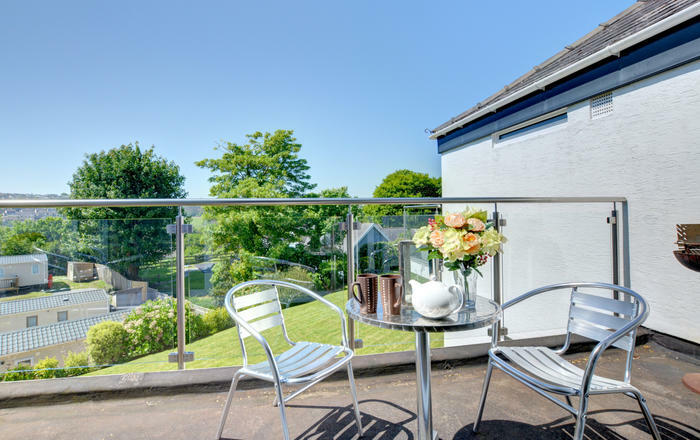 The position makes it an ideal holiday base for exploring both Devon, Dorset and the famous Jurassic Coast. You will also find plenty of delightful local walks and bridleways on the doorstep too. 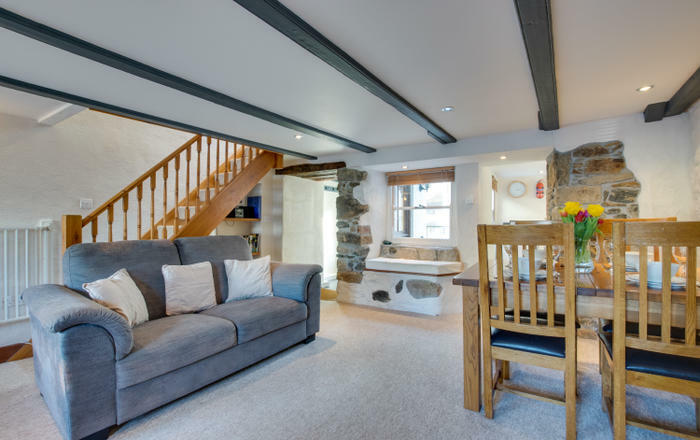 The Hayloft is part of a group of properties all with their own individual character and design - please also see CL106, CL204, CL205, CL302. The whole of the Jurassic Coast (including Seaton, Beer and Sidmouth), now a World Heritage site, is within easy reach and the lovely West Dorset seaside town of Lyme Regis is only about 15 minutes away by car. The popular Seaton Tramway, running along the Axe estuary, stops nearby offering a relaxing way to discover the local area. For those that enjoy a culinary treat, celebrity chef Hugh Fearnley-Whittingstall's River Cottage shop and restaurant is a short drive away in the East Devon market town of Axminster. Ground floor: entrance with seating area and access to the Bathroom with shower over bath, W.C. and handbasin. Storage cupboards for walking gear. 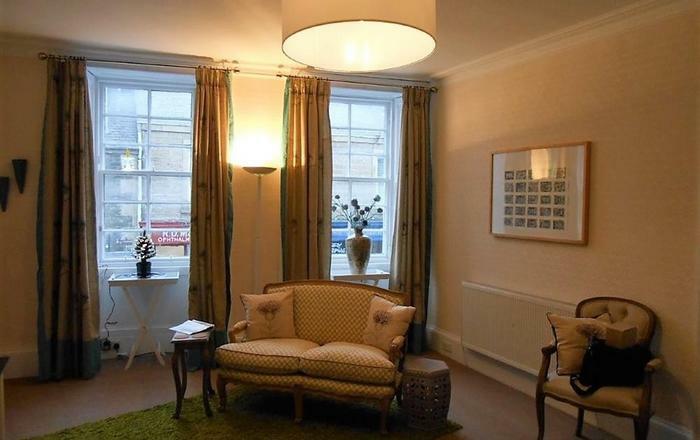 Stairs leading to First floor: Lounge/dining room with TV/DVD, i-dockMP3, dining table seating two, sofa and woodburner. Studio style kitchen with electric convector oven/grill/microwave, double hob, fridge, freezer, washing machine and electric drying rack. Bedroom with a double bed and is part of the clever open plan design. Central heating included. Bed linen and towels provided. Please bring your own beach towels. Insufficient space for a cot. Parking at the front of the property for one car. Shop: 1 mile. Pub: 1 miles. Beach: 3 miles at Seaton. One well-behaved small dog welcome. No smoking. Arrival 3.00pm - departure 10.00am. Arrival day for weekly bookings Saturday.